Combine the honey and nuts together in a glass container. 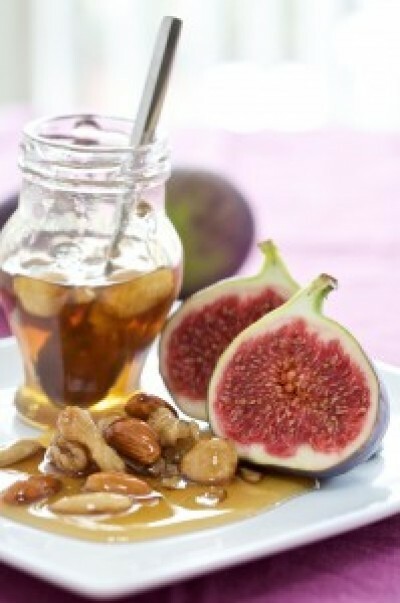 Drizzle about 1 tablespoon of honey and nuts over the figs. Leave some in your container for extra drizzle! Note: If fresh figs are not in season you can use frozen ones!